Bruce Brown's rebuilt crash bike before graphics. 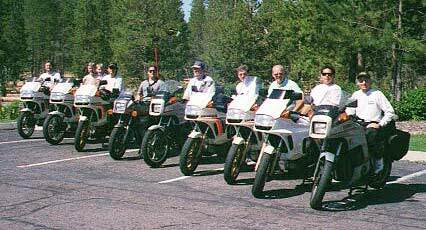 The bikes with their riders (not pictured is Seiya Sato and his GPz750 Turbo). 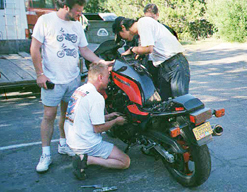 The late arrival of the lone Kawasaki: Rory Stiles doing final assembly with Ron, Seiya, and Chris giving advice. 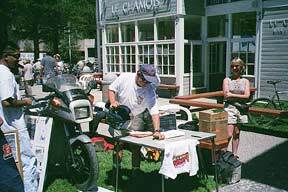 Bruce Brown giving out awards at the Squaw Valley Classic Japanese Motorcycle Show and Swap Meet. Chris Caputo's XN85 took Best Turbo honors. 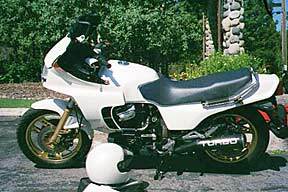 Turbo section at the Classic Japanese Motorcycle Show in Squaw Valley. That's Chris's award-winning Suzuki XN85 in the foreground. 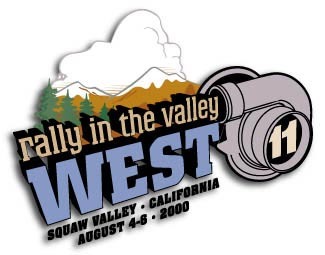 A total of ten turbos showed up for the Rally and all manufacturers were represented. 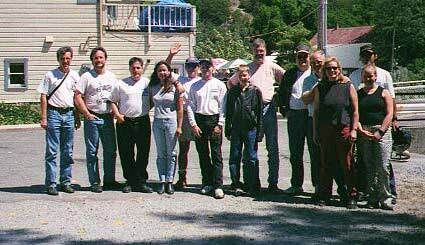 Not a bad showing for the first West Coast Rally. 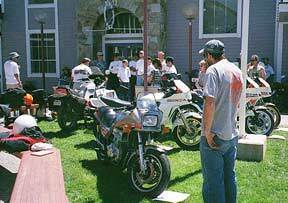 The bikes at the Inn at Truckee - Turbo Rally XI headquarters.